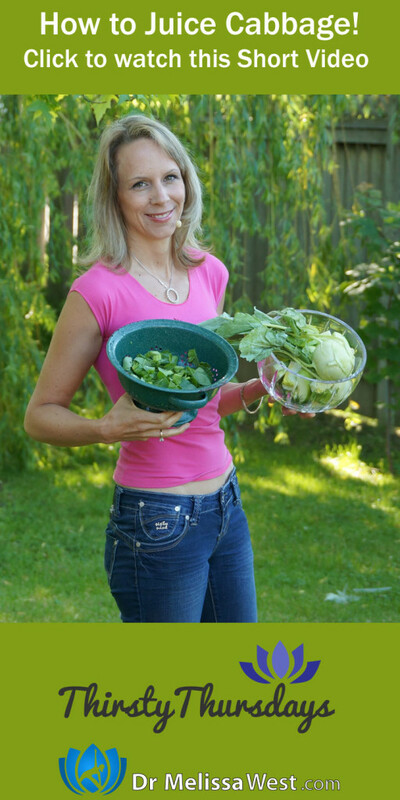 So much great interaction with the juicing and smoothie videos over the last few weeks and months. Thank you for leaving your questions and comments below. 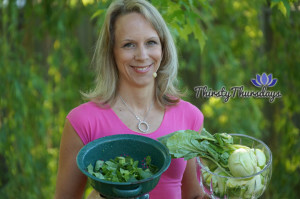 This week’s Thirsty Thursday video was a request from David for a cabbage juice recipe video, but first I wanted to respond to some of the questions and comments we have been getting from our juicing videos. One of the most frequently asked questions I get is, how many times a day do you juice and when do you juice. So I generally juice two times a day. I juice once before breakfast on an empty stomach and once before dinner on an empty stomach. Because I am dealing with a chronic illness (migraines) I juice twice a day to try to get in extra nutrients and to try to get in healing nutrients to help with the migraines. If I weren’t dealing with a chronic illness like migraines, arthritis, IBS, etc. I would probably only juice once a day. Juicing can just be a really great way to get nutrients into your body quickly when you are dealing with health challenges. Also I juice in addition to eating. So after I juice I have a complete breakfast, usually a quinoa porridge with almond milk, almond butter, fruit and pumpkin seeds on top. My cocktail hour juice is followed by a full supper like a rice bowl with a brown rice blend, legumes, fresh vegetables and seeds. So I juice and chew. I hope that clears up some misconceptions that I might only juice and I don’t eat. OK, so on to today’s juice. The great thing about cabbage is that there are so many different kinds of cabbage to choose from. There is green, red, savoy, bok choy, chinese cabbage, kohlrabi and brussel sprouts. Cabbage has many health benefits including being antibacterial, preventing cancer, they help improve your memory, they are antioxidant, they detoxify, they are anti-inflammatory, and they boost your immune system. Cabbage may even be helpful to diabetics in lowering blood sugar levels. Today we will make a cabbage juice to help your digestion.